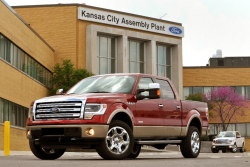 Ford recalls 32,000 cars and SUVs to replace Takata airbag modules. March 3, 2017 — Ford is recalling nearly 32,000 cars and SUVs due to airbag manufacturer Takata, although this Ford recall isn't related to the ongoing saga with Takata airbags that explode. 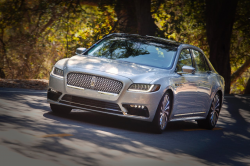 Recalled are the 2016-2017 Ford Edge, 2016-2017 Lincoln MKX and 2017 Lincoln Continental with driver-side frontal airbags that may not inflate correctly in a crash. Takata contacted the automaker about problems with the airbag cushions that can detach from the airbag modules. In addition, the airbag may fail to completely fill during frontal airbag deployment. Ford says a misalignment of components inside the airbag modules will cause the problems, but no accidents or injuries have been reported due to the defect. The 2016-2017 Ford Edge SUVs were built October 8, 2015, to February 15, 2017, the 2016-2017 Lincoln MKX SUVs were built November 11, 2014, to February 15, 2017, and the 2017 Lincoln Continental cars were manufactured from January 13, 2016, to January 18, 2017. There are about 27,531 recalled cars and SUVs in the U.S. and 4,336 in Canada. 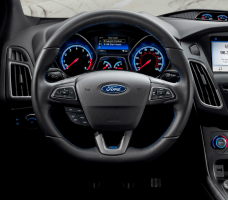 Ford dealers will replace the driver frontal air bag modules, but parts are not currently available. Owners will be notified in March 2017 and will receive a second notice when replacement parts are available, currently expected to be in August 2017. If you own a 2016-2017 Ford Edge, 2016-2017 Lincoln MKX or 2017 Lincoln Continental and have questions, call Ford at 866-436-7332 and ask about recall number 17C02. 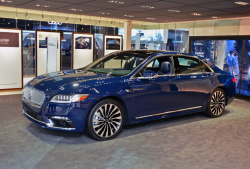 Check out what owners say about their Ford Edge, Lincoln MKX and Lincoln Continental vehicles.